Vickie J. Snyder, 61 years old, passed away at 8:40 p.m. on Wednesday, September 5, 2018 at her home surrounded by her husband, Ron, and her two cats, Simba and Jasper. Vickie passed away from complications of mesothelioma. Vickie was born on August 16, 1957 in South Bend to the late James and Joyce (Godfrey) Heisler. She has remained a lifelong resident. On June 6, 1987 in Mesa, AZ, Vickie and Ronald D. Snyder, Sr. were united in marriage. 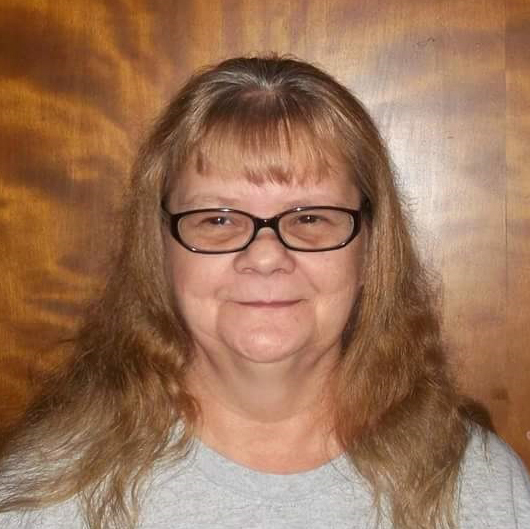 Vickie worked for An-Mar Wiring Systems in Mishawaka for fifteen years. Along with her husband, Ron, Vickie is survived by her three biological children, Matthew, Bobby and Tammi; four step-children, Rhonda Woods of Dowagiac, MI, Malaina (Michael) Anderson, Ronald Snyder, Jr. and Aaron Snyder, all of South Bend; fifteen grandchildren; six great grandchildren; two sisters, Martha Opaczewski of Mishawaka and Louella Heisler of South Bend; and two brothers, Robert and Mark Heisler, both of South Bend. Funeral services will be held at 7:00 p.m. on Monday, September 10, 2018 at the Palmer Funeral Home-Guisinger Chapel, 3718 S. Michigan Street, South Bend. A private interment will be held at Southlawn Cemetery, South Bend. Friends may visit with the family from 4:00-7:00 p.m. on Monday at the funeral home. In lieu of flowers, contributions in memory of Vickie J. Snyder may be donated to Pet Refuge, 4626 S. Burnett Drive, South Bend, IN 46614. Online condolences may be offered to the Snyder family at www.palmerfuneralhomes.com.